After logging in, the approved HOA Minutes are available at the "Homeowners" drop down tab. Welcome to the website specifically for Statham’s Landing homeowners. As a homeowner, please register to gain access to more features and information. The Approved HOA Monthly Minutes are posted on this site and we encourage you to use this site for the valuable and timely information it offers about our neighborhood. As much as possible, this web site is funded by our advertisers. These advertisers can be found in the top menu under “Advertisers”. Please use their services when possible and let them know you saw them on the “Statham’s Landing Website”. We welcome your input – family news, local charity events, special interest clubs, etc. 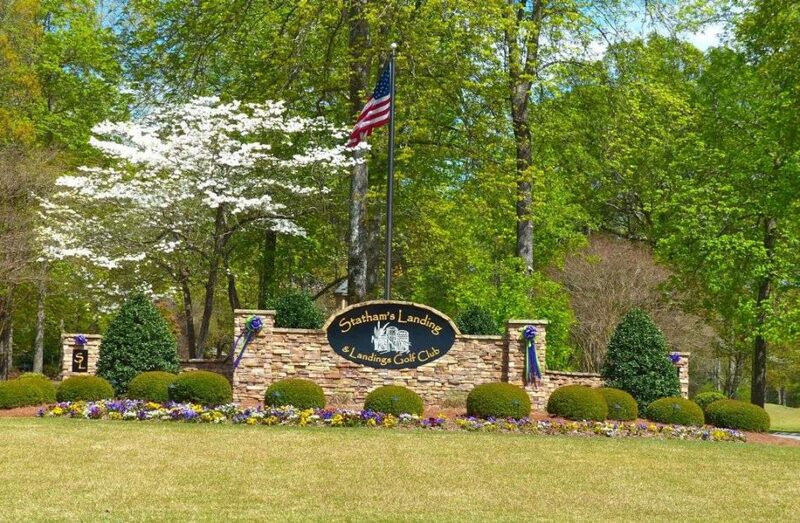 We have over 450 homes in Statham’s Landing – more than some of our small towns in Georgia – so there are surely stories to tell. Just click on “Submit News” to get started. Contact us through your Area Director or at the below address if you have any questions or ideas on how we can improve the website. Maintenance & Improvement Assn, Inc.
Notice 1: Please submit a Project Approval Request Form to the ACCC Committee prior to commencing any alteration to the existing exterior of a residence. Notice 2: Fishing by quests can only be on the property of the homeowner who grants permission to fish. For etiquette, vehicles of fishing guests should be parked in the driveway or along the curb of the residence of the granting homeowner. Notice 3: Recyclables are collected ONLY on the 2nd and 4th Wednesday of the month. Notice 4: Per the Houston County Sheriffs Department, homeowners can only launch or shoot fireworks from their property. In any case, fireworks cannot be launched or shot into or over a public street. There are also specific hour limitations on when fireworks can be launched or shot.